Are you looking for Manual Testing Jobs in Bangalore, Gurgaon, Pune, Vadodara, Delhi, Hyderabad, and Chennai?? See the Full Post. Interpret the issue/defect raised by the client and interact with the Development team and consultants with a level of domain knowledge, where needed. Undertake a proper due diligence of the defect/issue raised so as to identify the scope/impact of the defect. Translate Test Points given in defects to test requirements, both functional and regression. Create and execute function/system test plans to test business processes. Develop suitable test scripts, making use of existing test scripts/packs, to prove a delivery. Ensure that test scripts achieve the required business and systems requirement coverage. 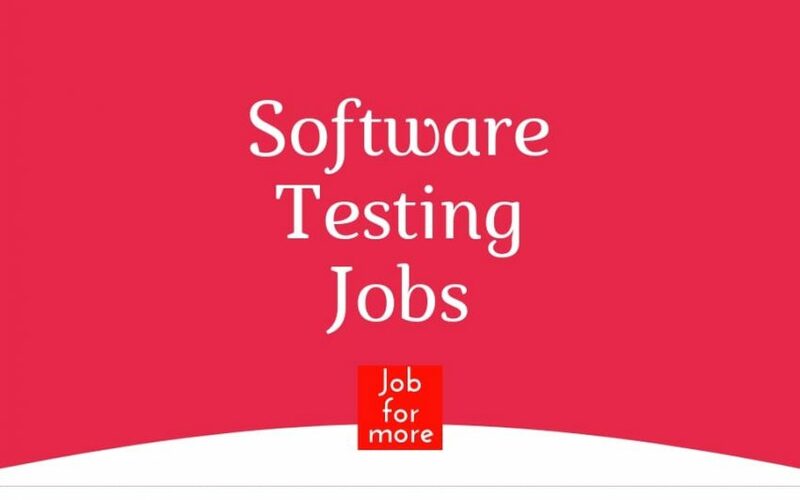 3 – 7 years of experience in software testing and Business Analysis of multi-user software, ideally within a financial environment. Exposure to the any of the Finance industries (Banking, Insurance) is mandatory. Experience in Banking/ Insurance Domain. 4. 2yrs bond with the company is mandatory. SoftTech provides comprehensive ERP solutions for construction enterprise and E-Governance solutions. Our solutions are based upon best practices and offer the unparalleled breadth of functionality to support the diverse needs of our global client base. We are in process of further enhancement of applications with latest Microsoft Technologies. We are seeking to add Team leads with the ability to understand existing technology and database structure. This position requires a strong skill set on Microsoft.Net platform. An ideal candidate should have 6+ years of relevant experience along with 2+ years of Team Handling Experience. Oracle and strong in PL-SQL. Active reports / Crystal Reports knowledge will be an added advantage. Write test plans. White box and black box testing. Knowledge of writing test scripts. Good Understanding of Slowly changing dimensions and implementation through Informatica. Should be able to use simple transformations like filters, aggregator, sequence generator in combination to come up with solutions. Netpeach Technology Services Pvt. Ltd.
1-2 years hands-on software testing experience. Testing client-server and/or web-based applications (manual testing). 1+ years experience creating test designs and test cases. Experienced QA/QC professional in Web app testing, Mobile app testing, and Database testing. Should have a thorough knowledge of writing test scenarios, test cases. Knowledge of SQL queries would be a plus. Understand technical requirements. Test software apps end to end. OptionMatrix InfoTech looking for Quality Analyst with 3-6 years of experience. Hand on experience in Manual Testing and Automation testing along with good knowledge on Testing Methodologies. 4th Floor, B Block100 Feet Road, Ayyappa SocietyMadhpurHyderabad, Telangana, India 500081. Take full responsibility of QA for all products (team size of 3). We looking ONLY for Individuals with HARD-CORE Programming experience for Test Framework with Java or Python. Strong coding skills, 2 years of experience in Core Development or Automated Testing (API, Unit, Integration, UI). Proficiency in one of the high-level programming languages. Self-awareness and passion to improve skills which can make the existing process better. Minimum of 2 years experience in Testing. Minimum 3-5 years of Experience in Automation Testing Using Selenium. Experience in Core Java (script writing, identifying and developing the reusable components). Exposure to OATS is an advantage. Understanding the typical framework and implement the same in the project. Strong communication skills with proven results in test automation. Strong technical and analytical skills related to Software Quality Assurance. Ability to work in a fast-paced environment is required.